When I joined the OSU Open Source Lab, I knew I wanted to spend some of my time working with students outside of the Lab to help them accomplish their educational and career goals, but I didn’t have a good idea of how to go about it. When I was offered the opportunity to work with one of NCWIT’s Extension Services consultants along with my colleague, Yeruwelle de Rouen, I gladly signed on and began planning events to empower women in STEM at OSU: technical lectures on campus by subject matter experts who also happen to come from underrepresented groups in Computer Science, career mentoring sessions, and more. Last week we officially kicked things off, starting with a talk by Selena Decklemann on PostgreSQL databases. I’m working on making additional lectures happen in the future. We rounded out the week with a talk on Career Opportunities in High Tech given by yours truly. I’d heard pretty frequently that students were excited to hear about life as an employee of Google and other companies in Silicon Valley, so I was happy to share my expertise with interested women on campus. Fifteen students gathered in the Kelley Engineering Center on Thursday afternoon to hear my talk, eat pizza and share their experiences seeking internships and career mentors. The many awesome career paths for women in high tech regardless of major, from Software Engineering to Technical Writing to Program Management to Systems Administration and much, much more. 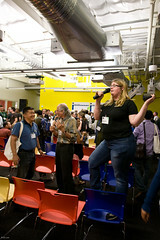 The support/knowledge networks available for women through their employers – such as the Google Women in Engineering Mailing list and similar programs offered by other companies – and in the wider community, such as the Systers mailing list, the National Center for Women & Information Technology and the Association for Computing Machinery’s Women in Computing. The upcoming Grace Hopper Conference taking place in Portland, Oregon this year and how the conference is an excellent chance for all women in STEM who use computers to accomplish their academic and research goals to learn, network and find employers and mentors. I have to confess my favorite part of the talk was the opportunity to showcase the talents and accomplishments of the many extraordinary women I’ve had the opportunity to work with over the years, including many women from Oregon: Deborah Bryant, Jennifer Redman, Sarah Sharp and Selena Deckelmann. We ate pizza, shared stories, answered each others questions and even raffled off a Computer Engineer Barbie. Even better, we concluded the event by creating a campus group for women in STEM at OSU, and we’re planning monthly meetings and a women’s dinner at the upcoming Beaver BarCamp. This weekend, we’re busy working on our application to the NCWIT Student Seed Fund in hopes that our group can keep enjoying pizza each time we meet. I was incredibly impressed by the intelligence, curiosity and enthusiasm of all the women I met at my talk, and I am really looking forward to working with several of them as they plan for their for future careers in high tech and beyond. 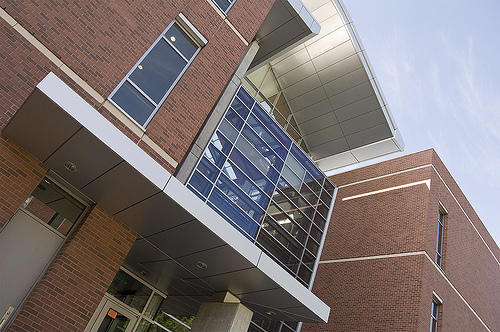 The image of Kelley Engineering Center was made available by Flickr user rodneykeeling. 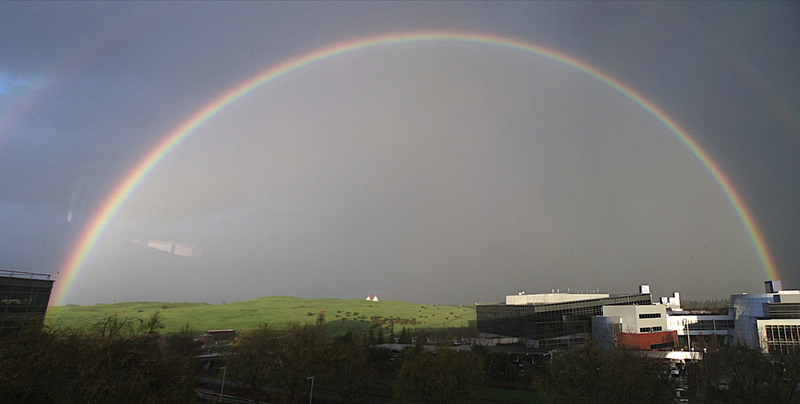 The image of the double rainbow over Google’s Mountain View, California Headquarters was made available by Flickr user surrealpenguin. Both images are used with permission under a Creative Commons license. This entry was posted in OSU and tagged ncwit, systers system. Bookmark the permalink.